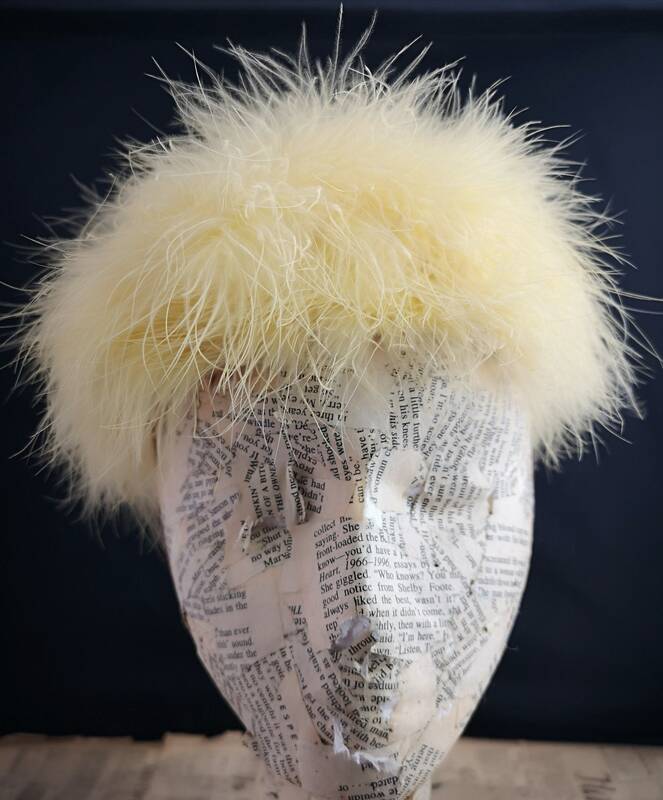 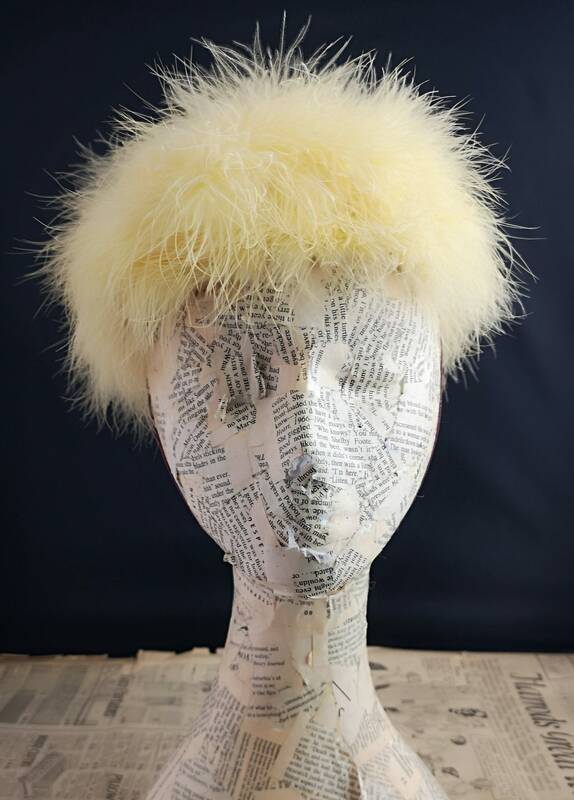 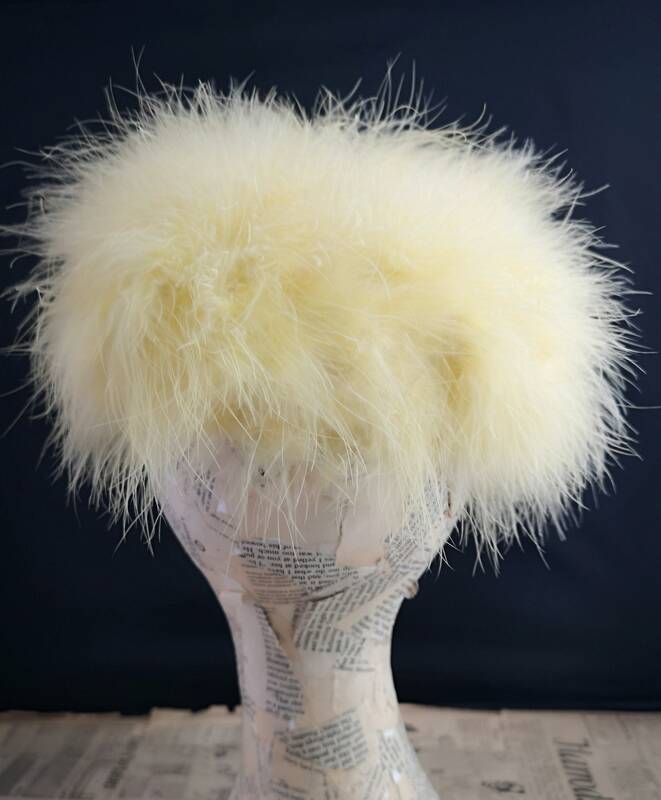 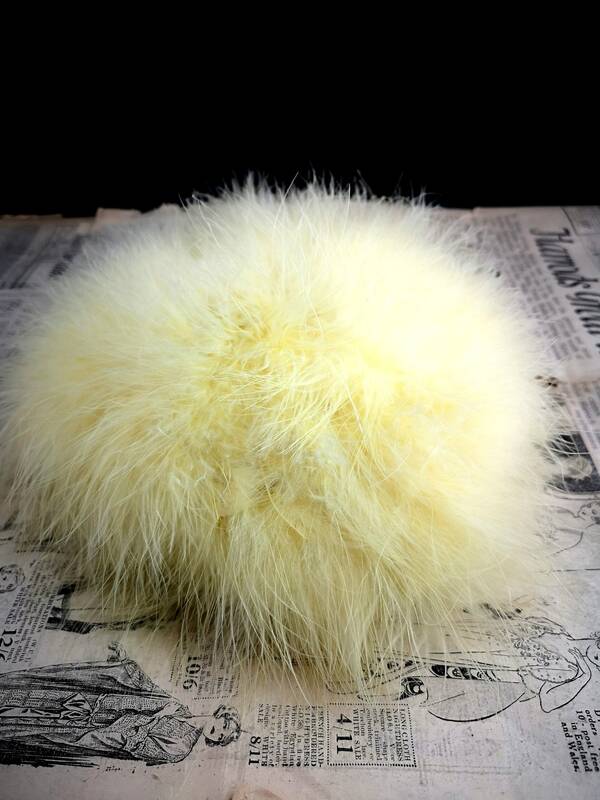 A striking vintage marabou feather hat. 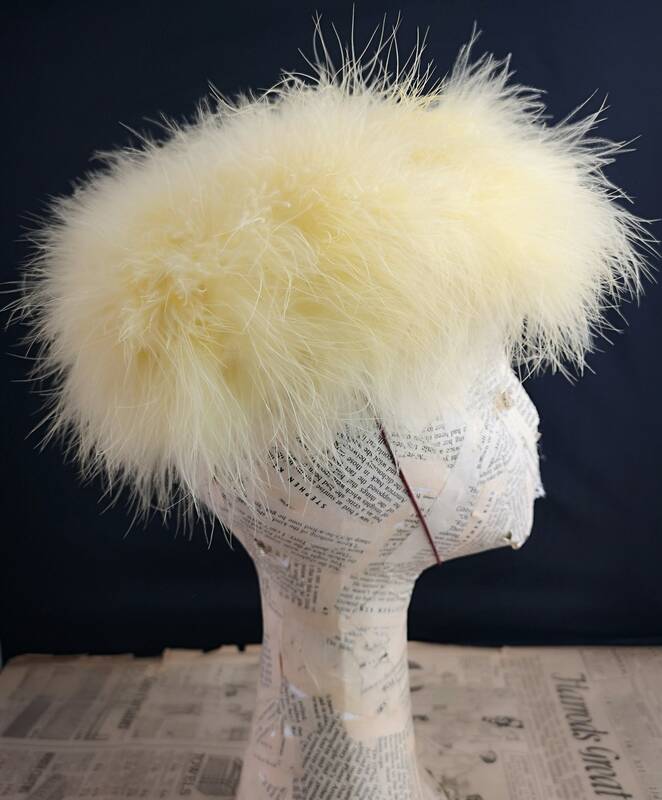 Soft and flowing canary yellow marabou feathers with lots of movement. 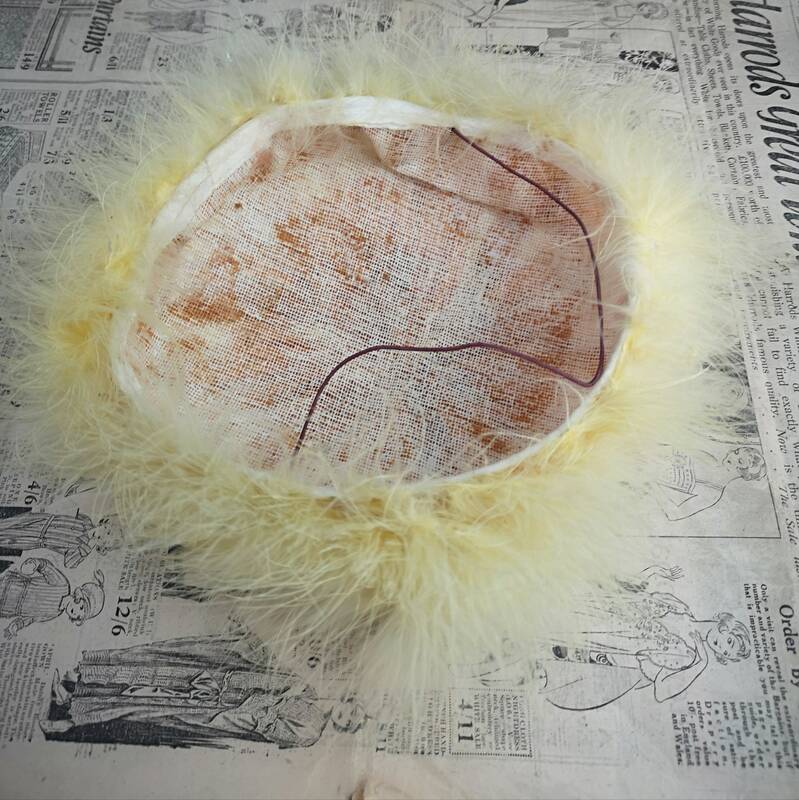 It is a deep pillbox style hat with an elastic chin strap to hold it in place. 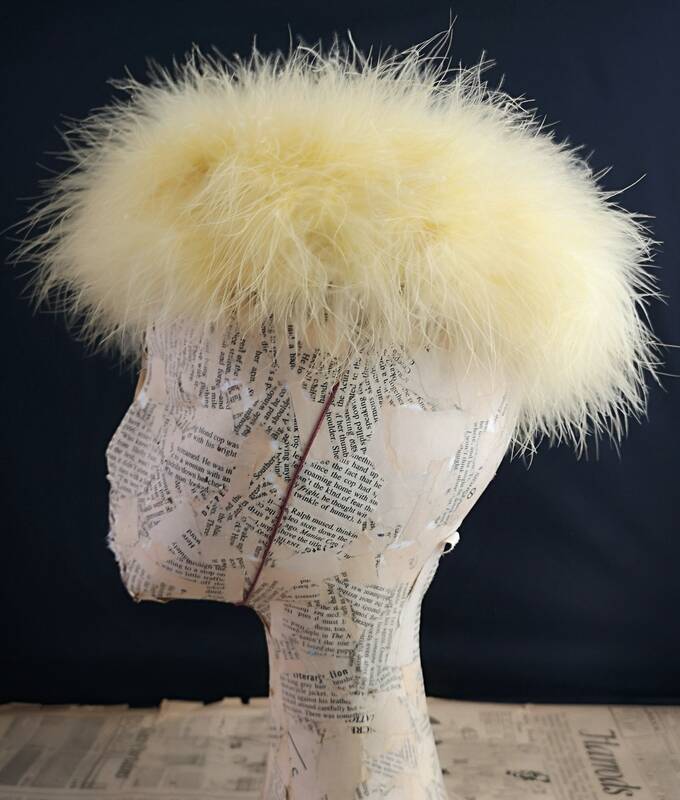 Good vintage condition, a tiny bit of fade, no balding but the hat does shed a little.